Oh, just my latest masterpiece. Well, in accordance with the general holiday spirit, I knitted myself what looks like a woollen foreskin for my head. It’s actually a cowl, I guess. Made of bulky wool, knit up on some size 10 bamboo needles. 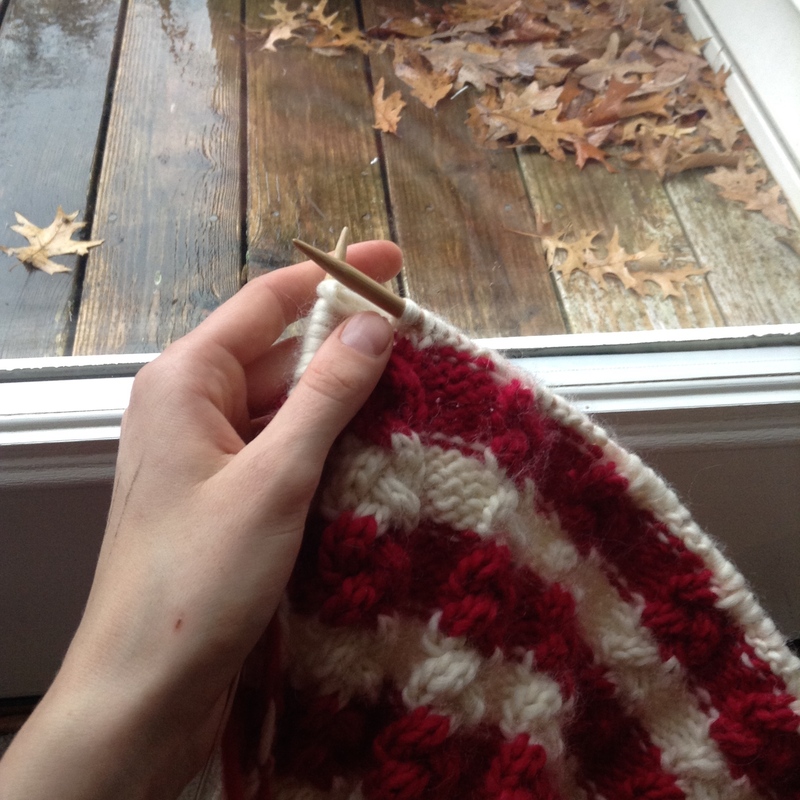 So blissfully easy after a semester of pokey metal sock needles. I was inspired by a tight tube scarf I saw at the mall. Bolstered by the rush of ecstacy from the feeling of “I could knit that!!! 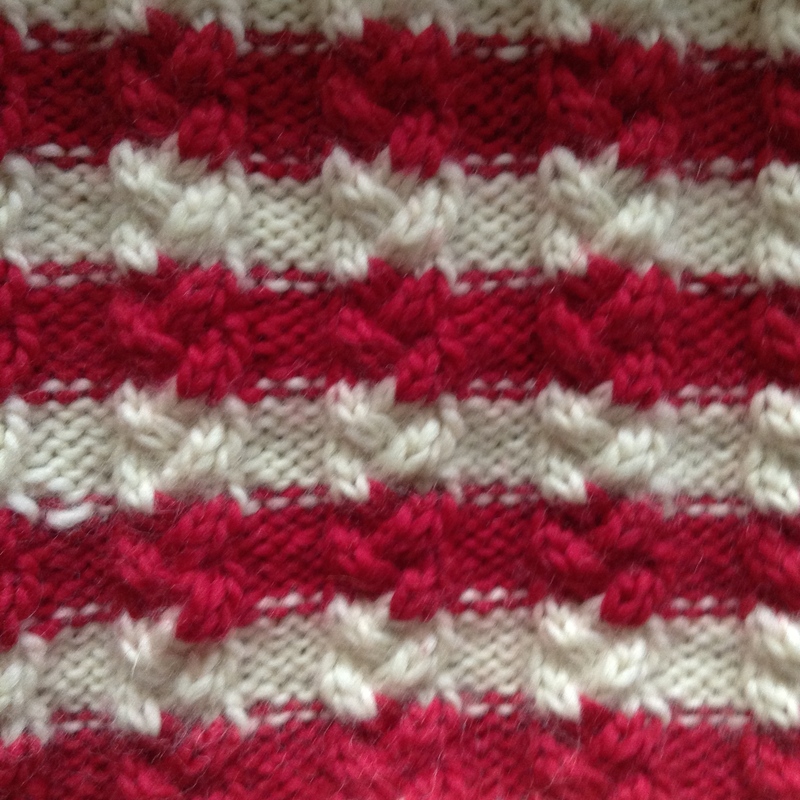 !,” I cast on 100+ stitches without any forethought, planning, or swatching. Predictably, this did not go well. Still, I ripped and repeated the process about four times before I settled on the final product. In the end: Knit flat, cable braid rib, sewn up into a tube. Bing bang boom. 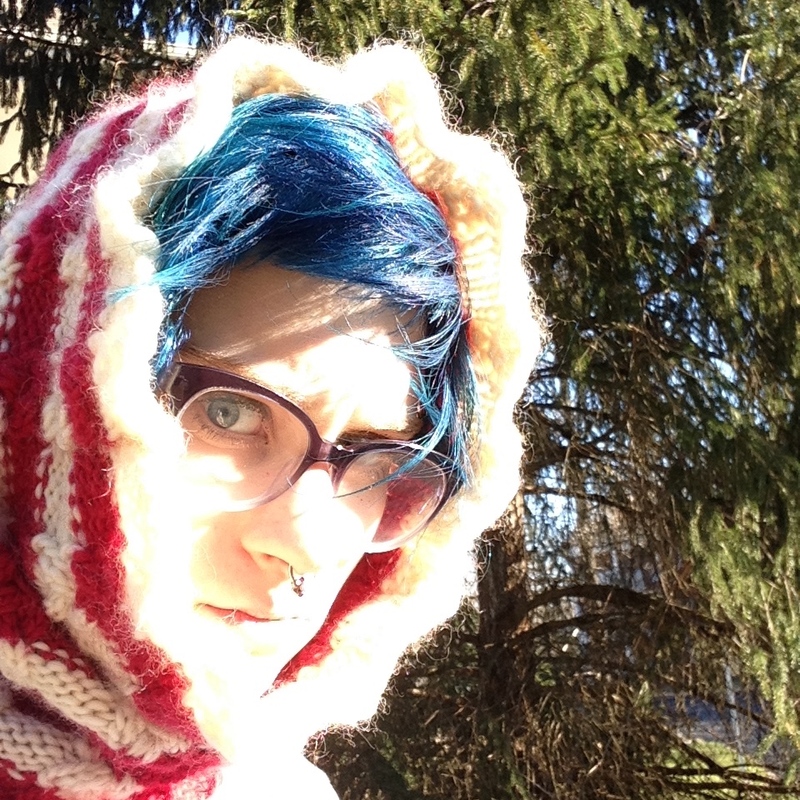 This works as a scarf, or a weird head-tube thing, but it can’t cover both my neck and head at once. 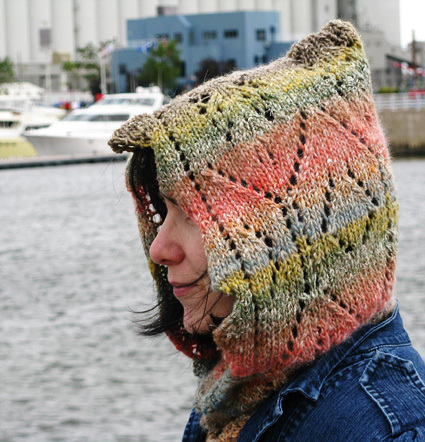 For my next head covering, I’m eyeing the Riverbanks hood from knitty. Yesss, soooo elfen.